Rheumatoid arthritis can be devastating disease. The daily joint stiffness, the frequent, sometimes terrible and disabling pain naturally affect every part of the affected person’s life, from career to parenting to having fun and being sociable. Fortunately, medical science has made several amazing, breakthrough discoveries over the last twenty years. The result? A double handful of sometimes near-miraculous medications. In addition to a number of non-steroidal anti-inflammatory drugs (NSAIDs) like naproxen, ibuprofen and diclofenac, there are now medications known as disease-modifying anti-rheumatic drugs (DMARDs). These include hydrochloroquine (Plaquenil), methotrexate (the “gold standard” in the treatment of RA) and leflunomide. They slow or inhibit the disease’s progression. Often, DMARDs are used in two- or three-drug “cocktails” that pack a powerful punch. When NSAIDs and DMARDs are ineffective, a third new group of medications have joined the arsenal. These are called ‘Biologics,” because they inhibit RA’s progression at a biological, cellular level, affecting T-cells, etc. Biologics are taken by injection or infusion. But pharmaceuticals aren’t the only weapons in the battle against RA. Many people turn to more natural remedies, including acupuncture and massage; herbal remedies such as turmeric, ginger, burdock, white willow bark extract and a myriad of others. Exercise is also important. 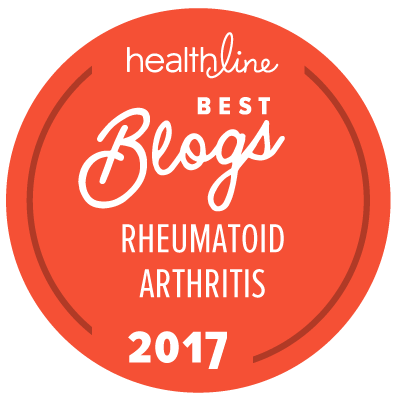 Because RA is often so painful and debilitating, gentle exercise, like stretching and light repetitions of range-of-motion exercises—are best. Avoid working flared joints, but don’t neglect the unaffected ones. Swimming is wonderful because water takes the pressure off the joints while moving them against light resistance. Other exercise includes gentle stretching and weight-bearing activities. Walking, the brisker the better, is excellent. Repetitive motion strengthens the muscles surrounding the joints, which can help to increase your general mobility. It also contributes to a healthy heart, lungs and digestive system, and aids in weight loss or weight maintenance. Both are important in life with RA. Finally, the things we choose to eat may have beneficial effect on rheumatoid arthritis. While the jury remains out on the debilitating effects of eating plants in the nightshade family—tomatoes, potatoes and eggplant, for instance—a healthy diet is beneficial to anyone, including those who’re battling RA. Some vitamins found in foods are particularly helpful against RA. Citrus, broccoli and spinach are good sources of Vit. C; whole grains, avocados and nuts are rich in Vit. E. And Vit. B6 can be found in bananas, beans and fish. Vit. D, which helps build bone, can be found in tuna and egg yolks. Try to follow a low-carbohydrate, high protein diet. Eat plenty of fresh vegetables. Stick to whole grain breads and cereals. Avoid processed and fast-foods. There are many ways to fight RA. Click here for a smart seven-day meal plan from Healthline.com. Hey, Wren great article full of very up to date info. I have question or rather I would like your opinion. Do you think it would be better to start treatment with Biologics since they are able to target specific areas and often times slow disease progression and work considerably quicker than DMARDs. I would love to hear what you think about this. 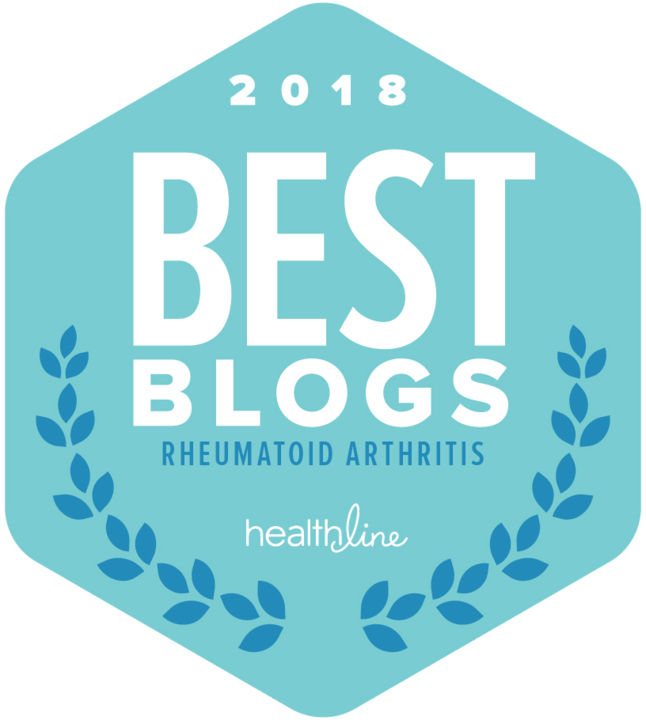 BTW congrats on being chosen as one of the top 20 Rheumatoid arthritis blogs. Hi, Tyrone. Thanks for the kind words. I’m not a physician, just a person who has lived with RA for many years. That being the case, I advise you to ask your rheumatologist which medication approach is better for you. DMARDs and biologic DMARDs can both be successful in slowing or stopping the progression of the disease, but all of them have side effects that can be significant. Please contact your doctor. Thanks Wren for taking the time to answer my question, your opinion means alot to me, so thanks again!